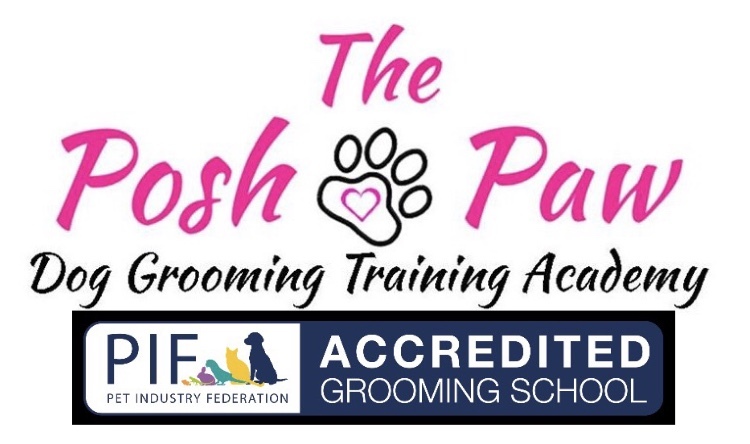 The Posh Paw is proud to be a PIF accredited grooming school and offer Dog Grooming Assistants training courses suitable for anyone, whether you are considering a potential career as a dog groomer or you want to gain more knowledge of dog grooming. Our Dog Grooming Assistants courses will provide you with the essential information that you need to care for clients’ and/or your own pets in a responsible, animal welfare-conscious way. All of our dog grooming assistants training courses are designed to offer you the most flexible training to suit your own individual needs. We never have more than 2 students at a given time, to ensure personal and one to one training. The Posh Paw offers training courses that are value for money, flexible, enjoyable and to a high standard. All of our training is delivered by a qualified teacher/trainer with City and Guilds qualifications and teaching/assessor qualifications.